Gotham City will have a turtle infestation in the latest DC animated film available on home video this summer. 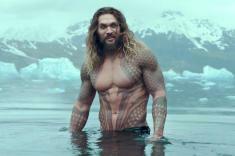 The action-packed fantasy adventure from James Wan and starring Jason Momoa will splash onto home video in the new year. Bradley Cooper's critically-acclaimed film starring himself and Lady Gaga is coming to home video in February. Another DC Universe animated feature will be available on home video in April. Another animated DC Universe movie arrives in August. 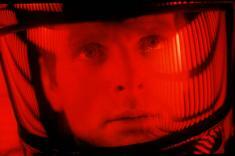 Warner Bros. has postponed Stanley Kubrick's 2001: A Space Odyssey 4K Ultra HD Blu-ray again. The next DC Universe animated feature is slated for a January release. The next chapter in The Conjuring film universe is planned for Blu-ray in November. Bradley Cooper's film starring himself and Lady Gaga is already up for pre-orders at Amazon. Jason Statham takes on a Megalodon on home video this November. The first season of the Hulu series from Stephen King and J.J. Abrams arrives on both formats early next year. Christopher Reeve's iconic portrayal of The Man of Steel soars to 4K Dolby Vision this November. The 2015 animated DC movie will receive a Commemorative Edition on both formats this November.